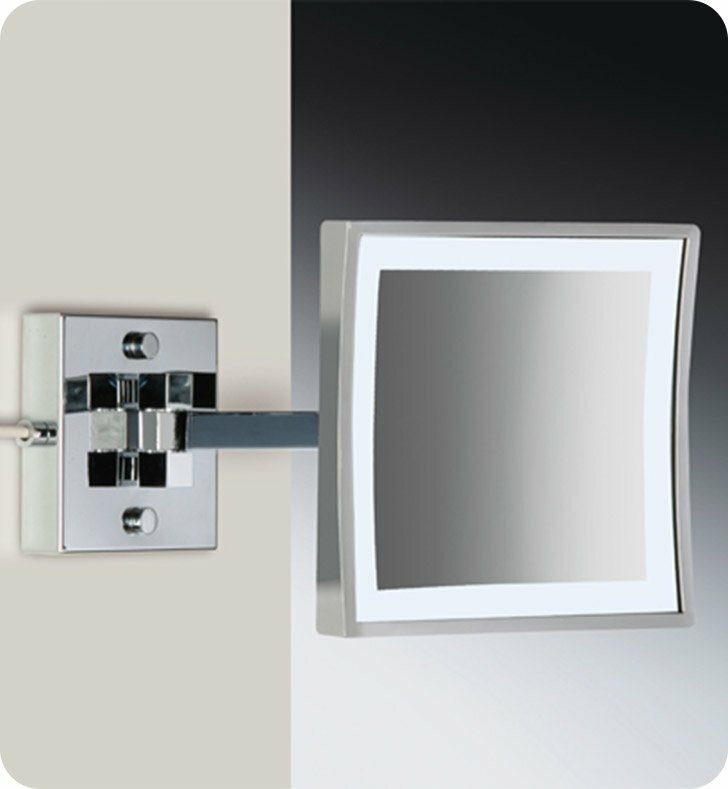 Windisch's Wall Mounted LED Mirrors makeup mirror is a makeup magnifying mirror that works well in a modern style bath. Designed and built in Spain by Windisch, this wall mount magnified mirror is a versatile solution for your trendy master bathroom. This high-end magnified mirror is made of high quality brass and coated with chrome, gold, or brushed nickel.